There’s no doubt that public transport smartcards are convenient for commuters who take public transport regularly, saving them money and time queuing for tickets. But along with the convenience comes a hidden cost, with recent reports revealing that data from travel cards like the NSW Opal card is being used by police and other government agencies to investigate potential criminal activities, welfare fraud and tax evasion. Who can access smartcard data? 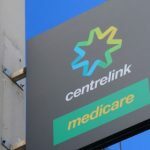 It is estimated that more than 100 different agencies have the authority to request access to travel card data, including the ATO, Centrelink and local councils. Theoretically, any agency which is classified as a law enforcement agency can request access to information about specific Opal card users and their travel habits. 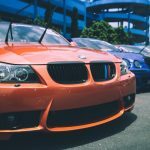 Whether or not they are approved is dependent on the discretion of Transport for NSW. Unlike most other types of surveillance or breaches of privacy, no warrant is necessary for law enforcement agencies to access Opal card data, a fact which has caused concern among civil liberties groups. In other states with similar systems to the Opal card, there are records of police and law enforcement agencies requesting access to this data on a regular basis. In Queensland, it was revealed in 2010 that police were using information from travel cards to pinpoint the movements of not only criminal suspects, but potential witnesses as well. The lax privacy laws in NSW means that organisations that want to gain access to information from Opal cards don’t have to have a solid reason, or prove that it is necessary as part of their criminal investigation. This could potentially lead to breaches of privacy and monitoring of innocent parties. What information is available from Opal cards? Through Opal card data, agencies can find out a person’s address and track their history of travel on public transport. They can find out about their regular movements and what journeys they have undertaken recently. Currently, Opal card data is kept for 18 months along with the personal details of users, before the personal details are removed and the data is archived for seven years. What do NSW privacy laws say about accessing Opal data? There are currently no specific laws in NSW governing the release of Opal card data to law enforcement or other government agencies. These include to investigate an offence, enforce the law, find a missing person or in response to a summons, subpoena or warrant. Why don’t police have to have a warrant? According to Police Commissioner Andrew Scipione, unfettered police access to Opal card information is necessary for the safety and security of the community. He said that the police would use all the information at their disposal to prevent a crime from happening, or catch an offender. Some have also argued that insisting on a warrant before allowing access to information would slow the process down, and create unnecessary bureaucracy. But the concern is that data will be used, not to catch serious criminals and locate missing persons, but to target innocent people or unfairly monitor the movements of suspected witnesses where there is no real proof they saw anything or were involved in any way. 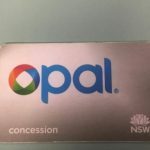 Among the agencies that have potential access to Opal card data are local councils, which have previously been caught using personal data for minor matters such as catching people who have been littering or who own unregistered animals. There are no plans to introduce warrants for accessing Opal card information at this stage. Currently, users have to register their name before they can use an Opal card, but in the future cards will be made available in shops, which means they don’t need to be registered and can be topped up with cash rather than being linked to a credit card. 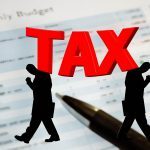 What Are The Most Common Tax Evasion Penalties? Will Centrelink Prosecute If I Make a Genuine Mistake? 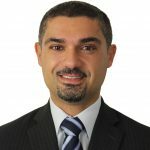 Do We Need New Technology Laws in NSW?